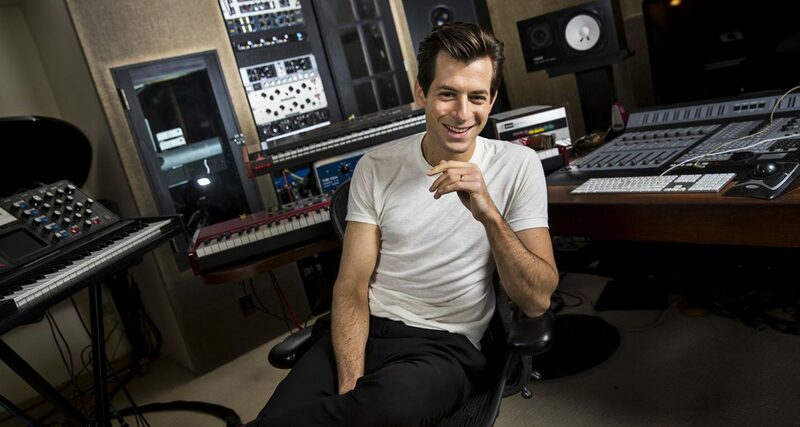 The best DJ/producers, such as Mark Ronson pictured above, have secret tricks and techniques that they've relied on to help get them to the top. I share three simple ones in this piece. Chart-topping producers seem to possess supernatural abilities to churn out tunes that make it to number one. You’ve got your Mark Ronsons, your Disclosures, your Diplos and your Tiestos – how do they do it? Furthermore, how can you do what they’re doing so you can get some success yourself? There’s no doubt that every DJ/producer in a “top 100” list has some talent and skills, but apart from being talented and working really hard, they also know how to work smart. They’ve got legitimate tricks and secrets that help them get ahead of the pack. Here’s a handful for you to try out in your own producing. Use charts found in music streaming services to get a feel for what’s big in a particular region or country. The people who invented music charts were like the first algorithms: Their job was to figure out what songs resonated most with people by looking at sales based on reports from stores, driven by radio stations and jukebox plays. The most popular songs tended to be the ones with the most sales and airplay (at least in the beginning), so these songs placed higher in a chart than others that weren’t as popular. Now that we’re in a digital music landscape with more songs available to anyone than ever in the entire history of recorded music, tastes are more specialised and fragmented. You’ve got people listening to so many types of obscure tunes and sub-subgenres that it’s got extremely tough to keep track off it all, and with radio and MTV falling by the wayside, it’s easy to think that it’s impossible to know what songs and types of music people are most likely listening to out there. But there is hope. 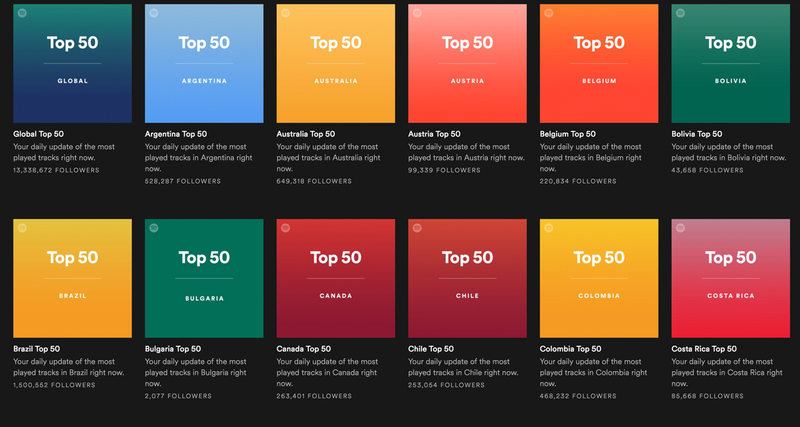 The Spotify Top 50 charts let you zero in on just 50 songs in a given country. That gives producers a rough guide to what’s currently hot in that area, and they can use that information to paint a picture of what a hit song for that region would be like. They can even use the Spotify Viral 50 to track daily shifts in musical tastes to see if their music style is waxing or waning. The intention isn’t to make blatant copies of top tunes, rather it’s to research and glean information that they can use to influence their creative decisions when they get behind a DAW. This is just one way that producers use “big data” to inform their production decisions and compositions, giving them a commercial edge over those who choose to ignore the massive changes happening in the music industry, or of course who don’t care. 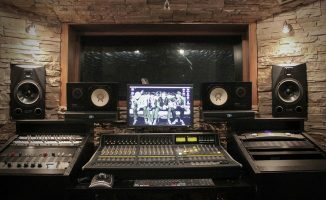 The best producers have a unique “sound” that they hone, craft and improve throughout their career. The sooner you get started, the better. There are many ways to make music, and there are just as many styles of music to make. One way that the best producers increase their chances of crafting hits is to be deliberate in the kind of song they want to produce. Good producers look for sonic similarities across songs in a particular style and copy them, using the same synth patches, samples and sounds. 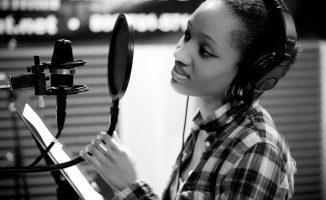 They do this because they know that they’ll be able to cast their musical ideas into a form that a particular audience will readily understand, making it easier to break into that scene. Think of how a lot of uplifting EDM sounded like Avicii at one point, especially the huge “piano synth” sound heard on tracks like Levels and Fade Into Darkness. Great producers on the other hand, might do all of this, and then will go the extra mile and put their own unique twist and sonic stamp on their productions. This fusion of something familiar with something that’s uniquely their own leads to the creation of something original. Think about Diplo who basically introduced moombah and reggaeton to a new generation of dance music fans. Even when working with a megastar like Justin Bieber, tracks like Cold Water and Where Are Ü Now have Diplo’s unmistakable fingerprints all over them. Now, you may think that the biggest DJ/producers are “selling out” by doing this, and of course there are some individuals out there who are just in it for the money, the streams and the fame, but that’s an unfair generalisation: I like to think of it as getting your message across in a way that is musically relevant to the cultural zeitgeist. It’s making something with the intent of it being for an “audience of now” instead of making something and then hoping that it finds ears – which it will, by the way, at some point. The latter could turn you into a once-in-a-lifetime artistic phenomenon later on (like Aphex Twin), but if you want chart dominance (like Diplo), the former is the more likely path. Love him or hate him, Kanye West is undoubtedly prolific. It’s easier than ever to make songs, release them and then promote them to a global audience that is connected to the internet 24/7. As mentioned earlier, this means there are a lot more songs to compete with, and it’s tougher to rise above all the noise and be heard. It’s like the proverbial tree falling in the forest: You can have a song that’s catchy and memorable, but if no one hears it, is it any good? One of the best hacks that producers use today is to keep pumping out tunes quickly. The reason why this is an effective strategy is because putting tunes out on a regular basis (eg once a year, quarterly, or even monthly) keeps you in front of your audience, both from a news cycle perspective and from a music streaming one. 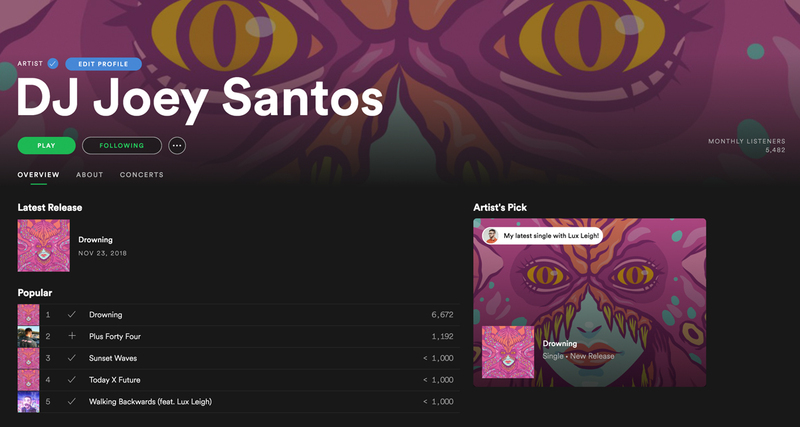 Every time you drop a new single, there’s a chance that it gets on a Spotify playlist like New Music Fridays, and that song could be your biggest song yet. The best example of this is Ariana Grande’s “thank u, next” which was released as a standalone single despite her album Sweetener just dropping three months prior. The album was a success, but “thank u, next” smashed it and all her previous records, giving her her first Billboard #1 song. Another example is Kanye West who released his EP “Ye” and “Kids See Ghosts” just one week apart. A follow-up called Yandhi was supposed to have been released three months after, though it’s been delayed due to production issues. 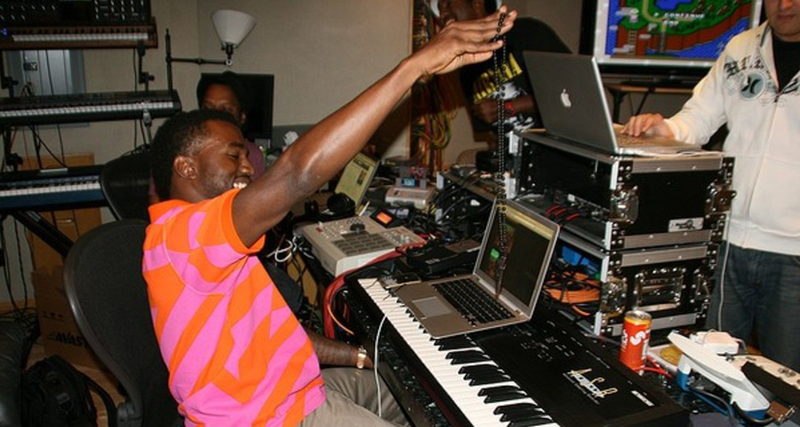 In between all of this album work, Kanye even released two non-album singles. Even if you’re just an unknown producer, getting a song on New Music Fridays can mean thousands of plays in a single week and it introduces you to audiences who have never heard of you. My latest single “Drowning” had 6000+ views in the first few days it went live – that’s considerably more compared to all my Spotify releases combined. It’s not much at all (indie artists get hundreds of thousands of streams a month) but I’m still doing better now on Spotify than when I wasn’t releasing anything. Putting out new music on the regular also strengthens your existing catalogue: listeners can check out your other releases, and the more music you have in there, the more stuff they have to listen to. There’s never been another moment in history where your recording studio, market research tools and promotions arm are all contained in a device that sits on top of your desk. All the knowledge and information you need to learn how to do all of this is right at your fingertips, too. 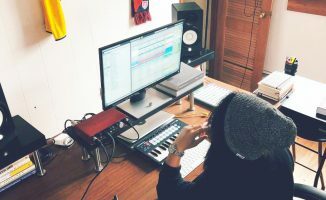 Sure, there’s a tiny sliver of a chance that you’ll be the next Porter Robinson or Steve Aoki, but that shouldn’t stop you from making music, expressing yourself and sharing that expression with people. Ultimately, that is the essence of being a DJ/producer. 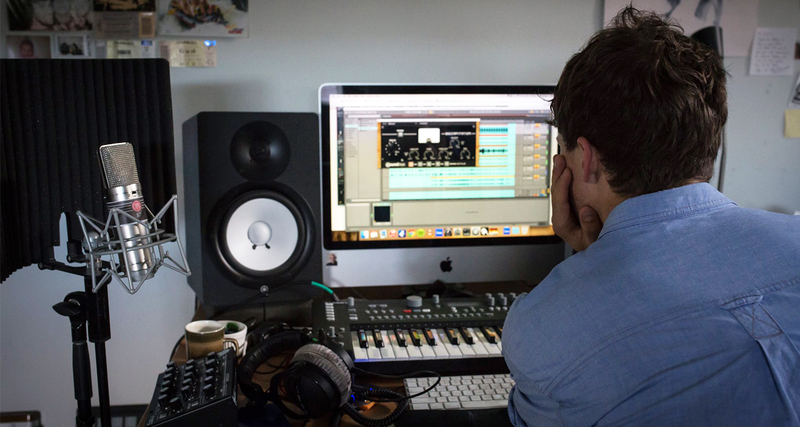 Are there any tricks or hacks that you’d like to share when it comes to producing music? Share them with us below.